This baking sheet will make an excellent addition to your existing cookware, as it is also classed as a non-stick baking sheet. 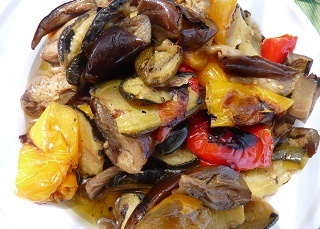 This can be used to make some delicious healthy meals such as roast chicken with roasted Mediterranean vegetables. If your cookware is lacking a good all round non-stick baking sheet, then this baking sheet will be the perfect addition to your existing cookware.